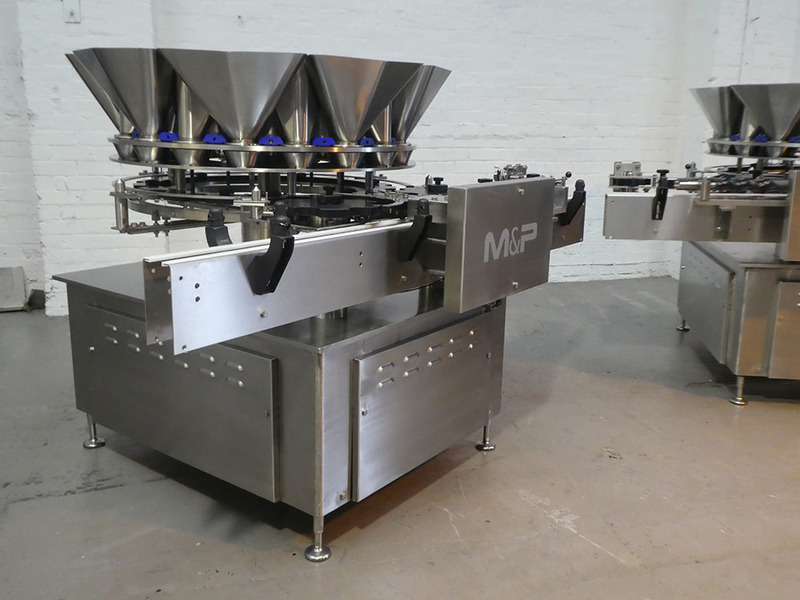 M&P Engineering have been manufacturing food production, preperation and packaging equipment for over 40 years now. With our own manufacturing facility and a portfolio of successful products we are confident we can provide a efficient, neat and cost effective solution. The M&P Engineering Rotary Transfer Unit can be combined with a weighing system for accurate filling and smooth efficient transfer. This high speed packaging system ensures a quick repayment of investment from savings on overfill. With an output of up to 160 containers per minute, the Rotary Transfer Unit can be incorporated into existing liquid/solid filling lines handling all types of containers. Accurate – Combining partial quantities to achieve the target weight, the machine takes the mean weight of up to 16 heads to give an accuracy of 25% of the piece weight; except where the piece is less than 5g. Weight capacity is 5 gram to 3 kilo. Hygienic – Contact parts are manufactured from stainless steel and food grade plastic. Easily stripped down for cleaning. Contact M&P Engineering to discuss your food processing equipment requirements, you’ll find our knowledgeable and friendly experts ready to help.